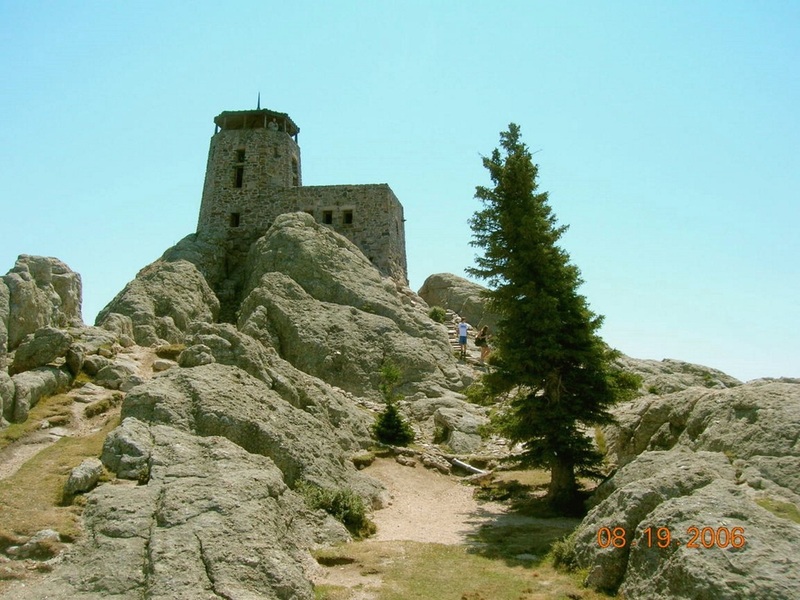 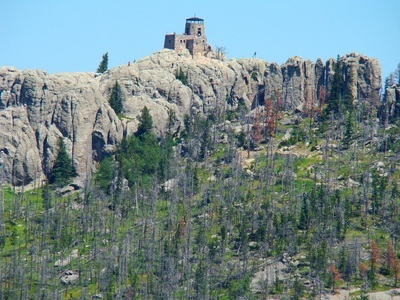 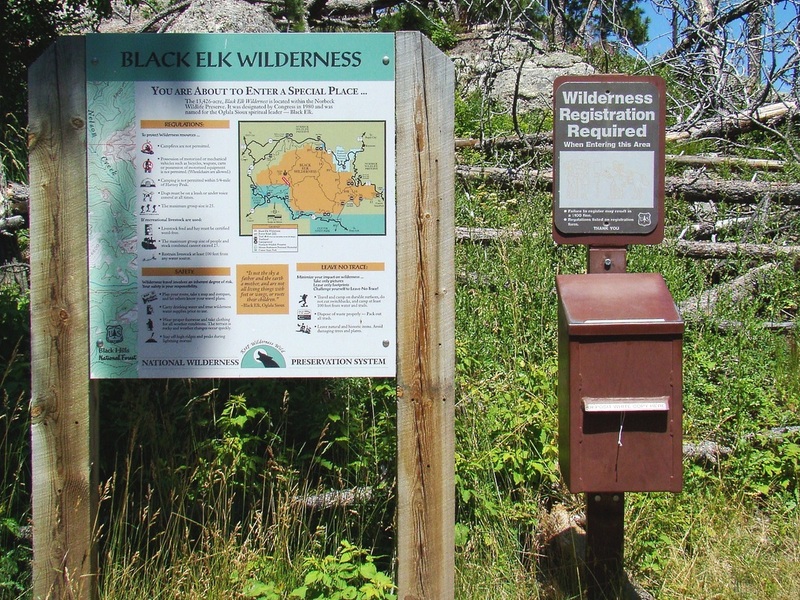 Recently, the federal government changed the name of Harney Peak to Black Elk Peak. 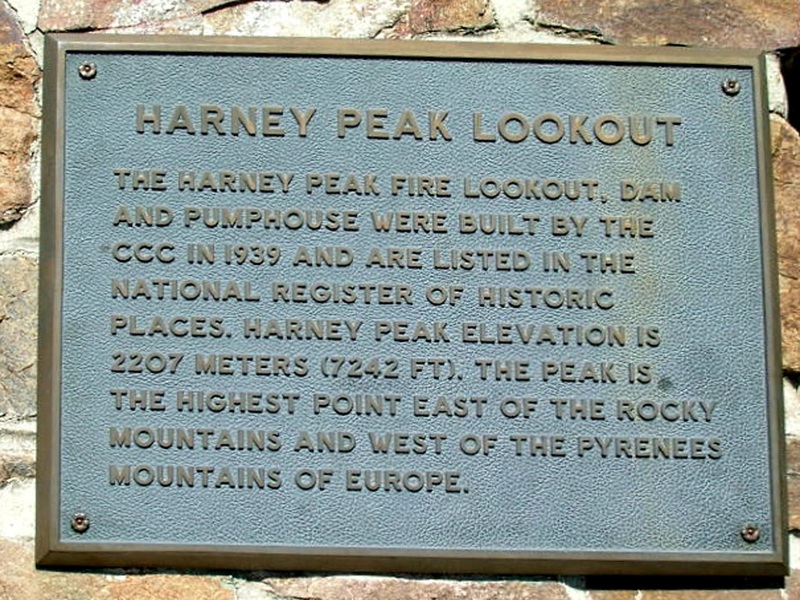 The name title on this page will keep both names until people get accustomed to the new name. 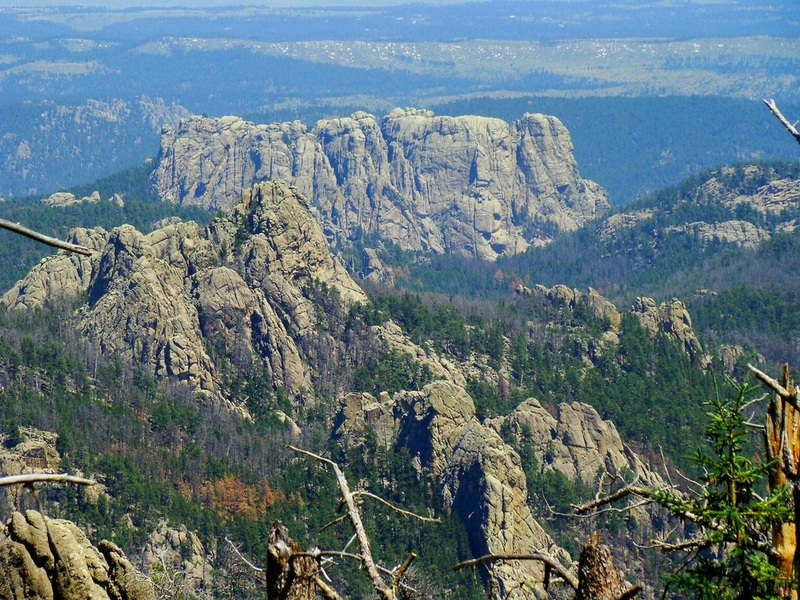 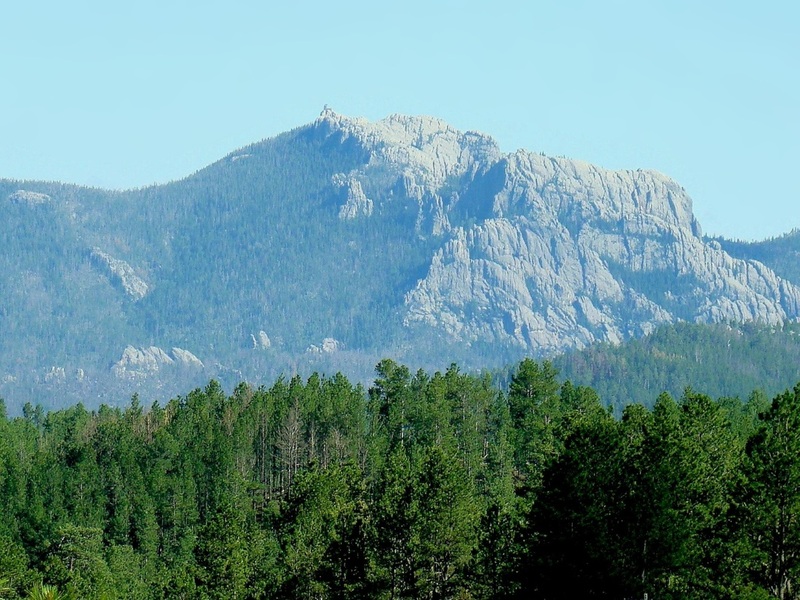 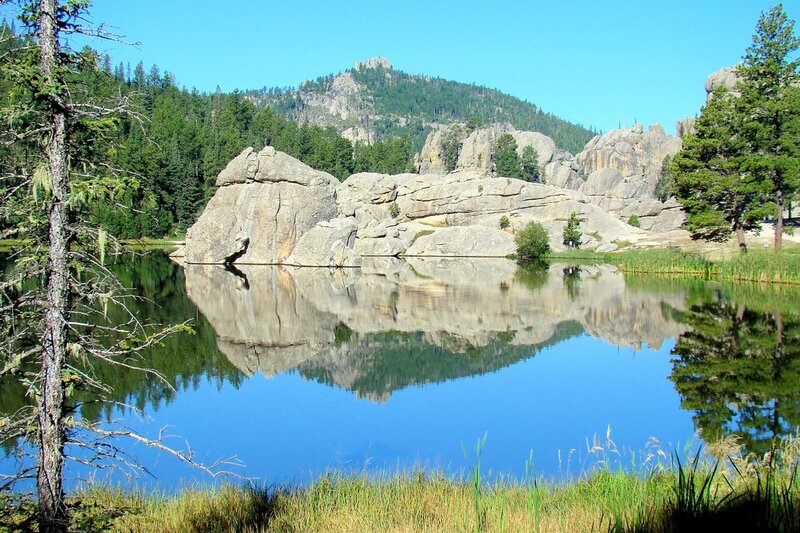 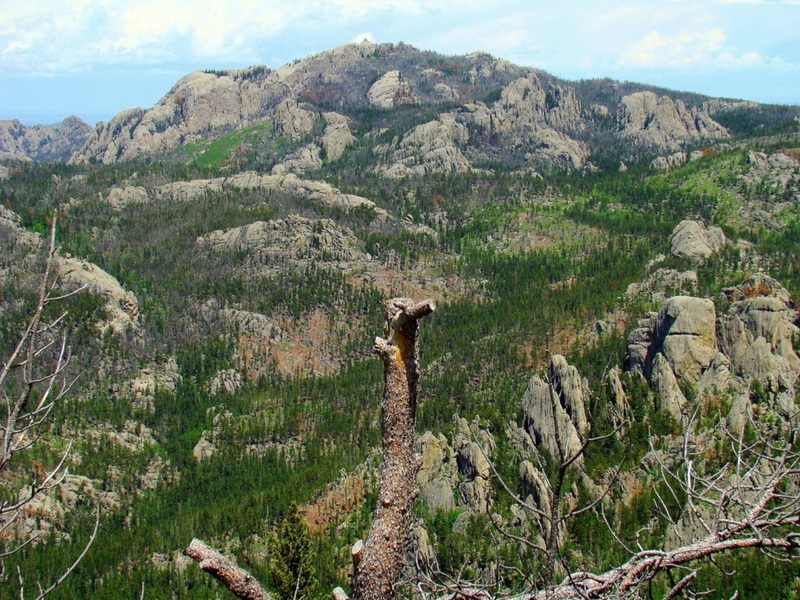 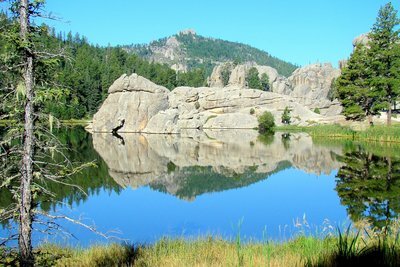 The peak is the highest summit in the Black Hills, and offers hikers a superb intermediate-level hike, in any of several trail options. The outstanding views from the old stone lookout tower at the summit are matched by very few other peaks in the Black Hills. 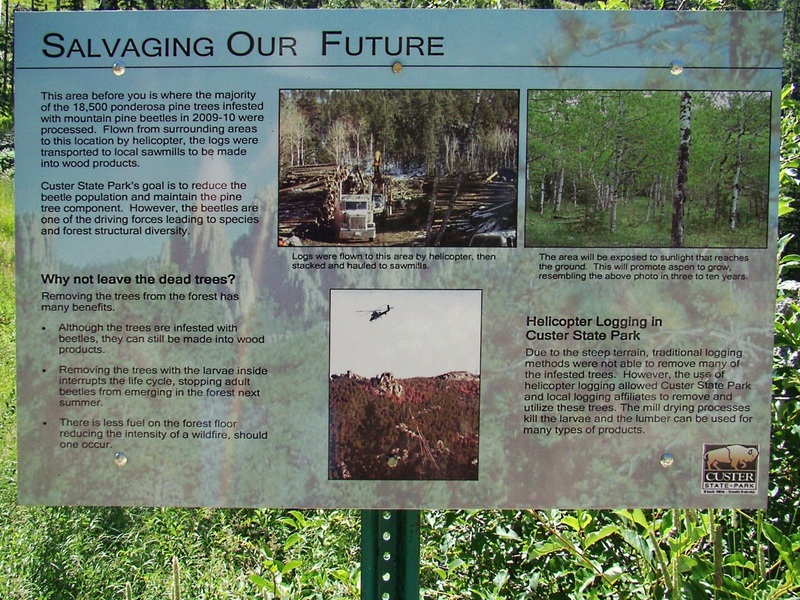 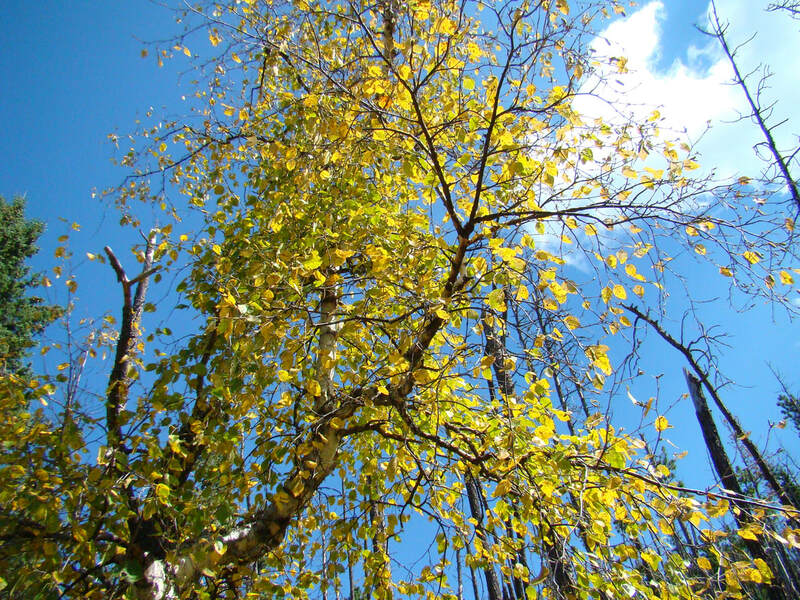 Probably the only downside to the hike, are the unsightly dead trees that have been killed by pine beetles. 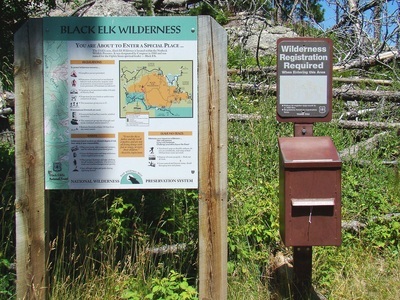 Black Elk Peak lies within the Black Elk Wilderness. 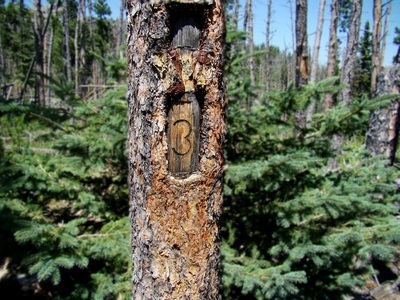 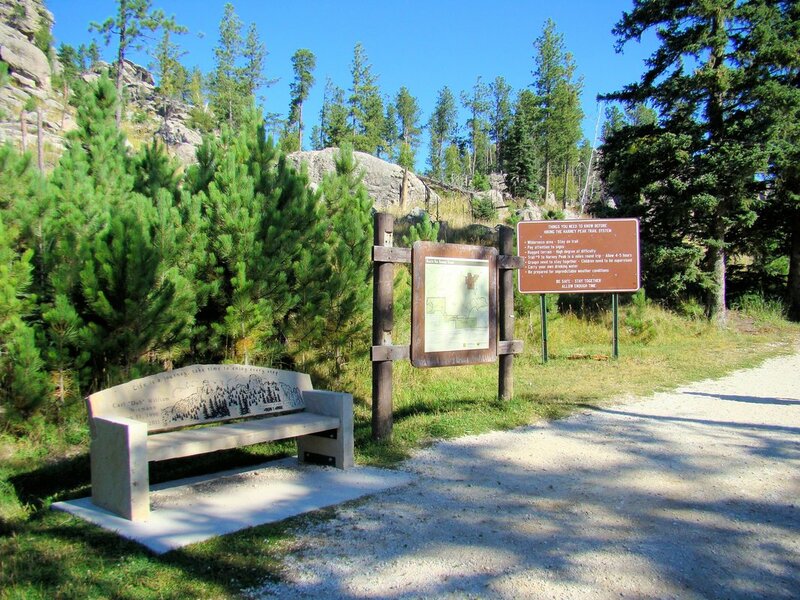 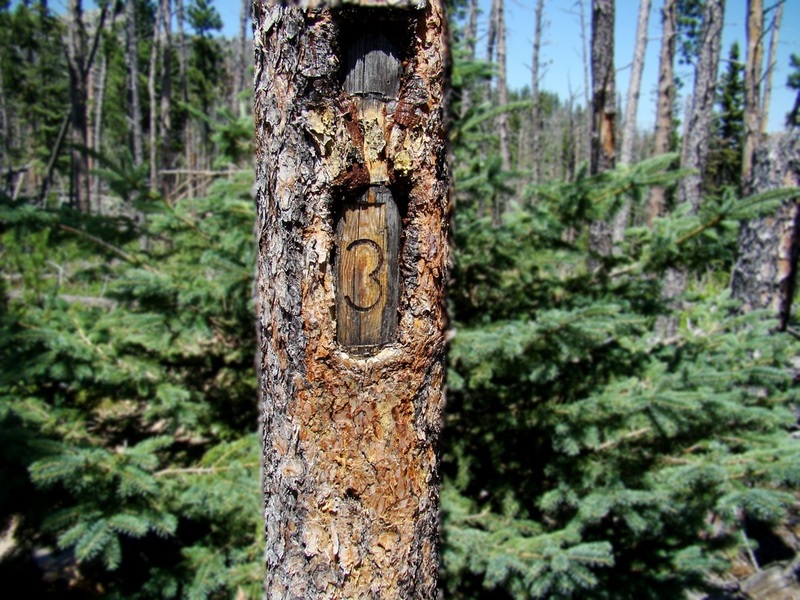 The most popular trail to the summit is Trail 9 from Sylvan Lake. 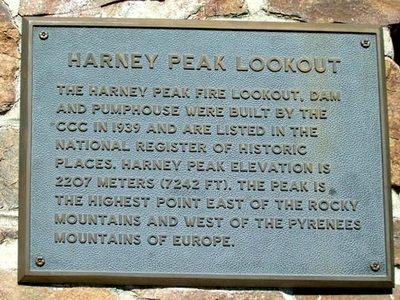 Some reports have the average number of hikers on that route at 300 per summer day. We like Trail 9, but our favorite route is Trail 4. 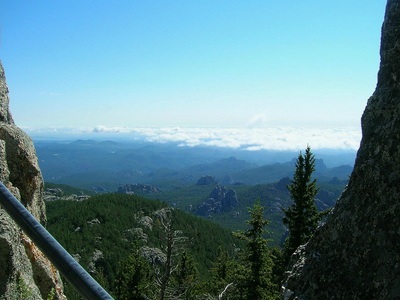 Both trail routes are approximately 3.5 miles from Sylvan Lake to the summit, with about 1,100 feet of elevation gain. Trail 4, however, offers some splendid views of Cathedral Spires. 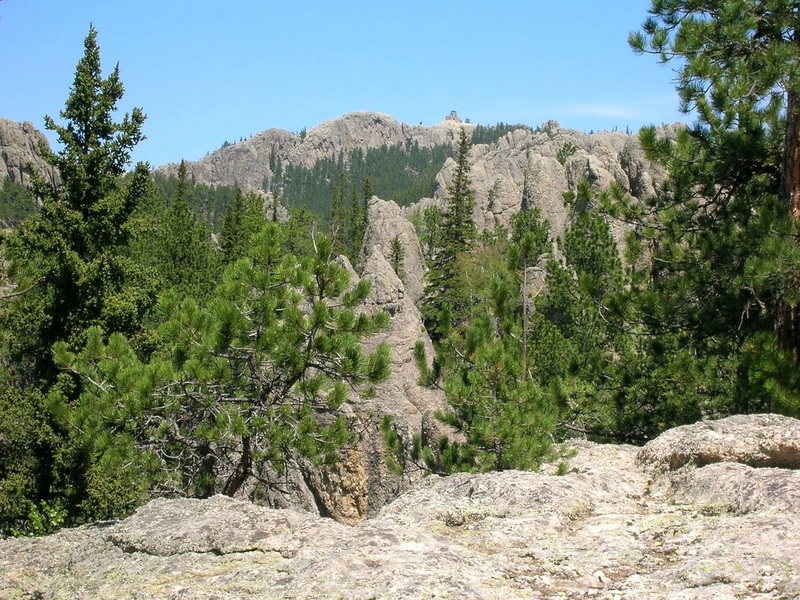 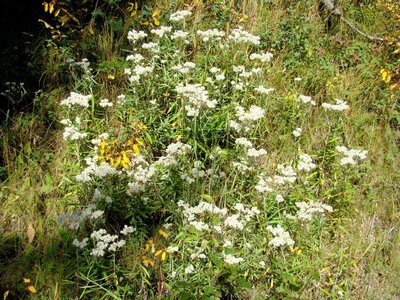 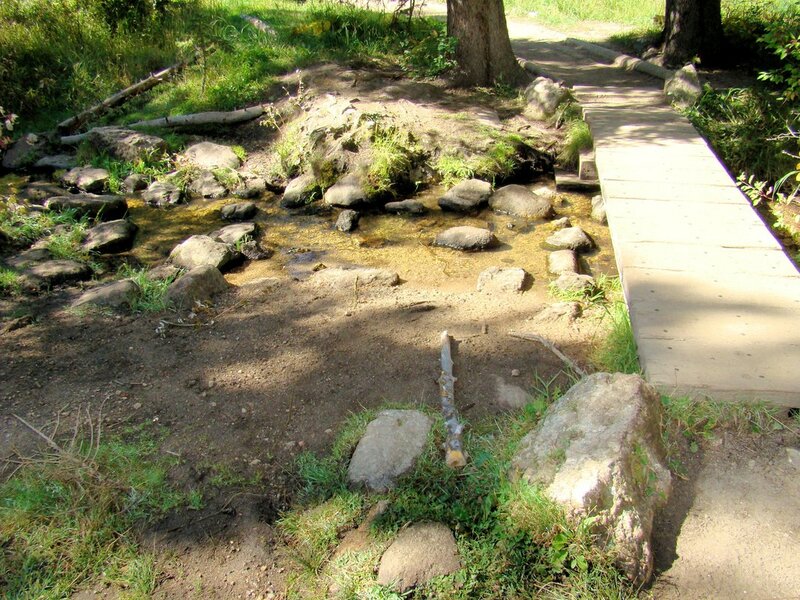 If you hike from Sylvan Lake, perhaps doing a “Trail 4 up and Trail 9 down” loop would give you the most complete experience for your Black Elk Peak hike. 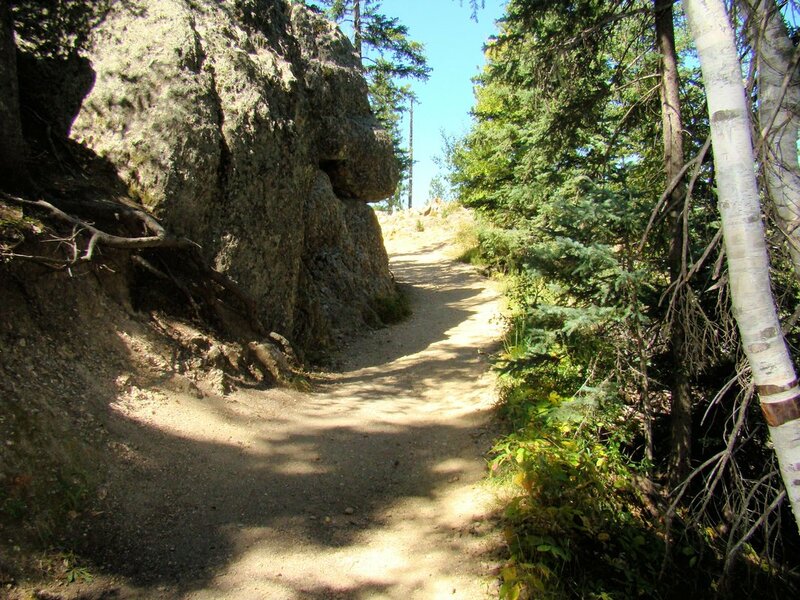 And actually, to be technically correct, Trail 4 is “absorbed” by Trail 3 at 2.3 miles, which in turn is “absorbed” by the upper reaches of Trail 9 near the summit. 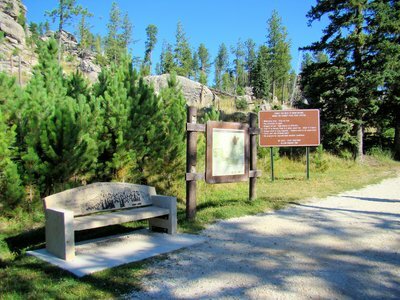 For those who prefer a longer route with more solitude, they can hike in from the Trail 9 north trailhead, located at Willow Creek Horse Camp. 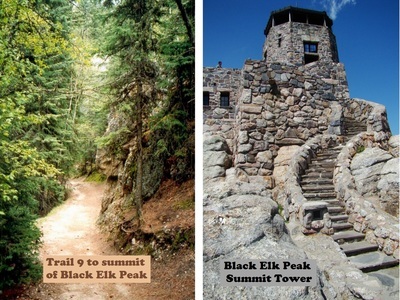 This route actually starts on Trail 8, the Willow Creek Loop trail, then joins Trail 9’s northern end. 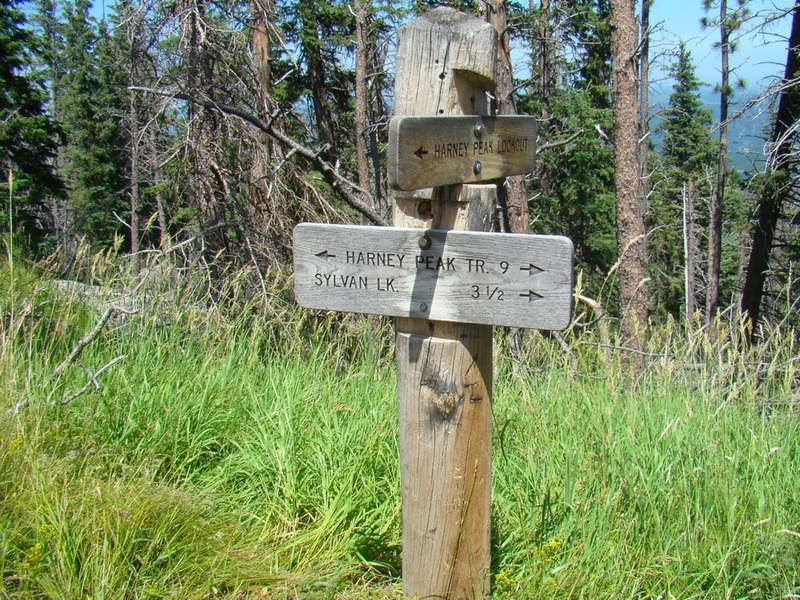 That route is strenuous in places, with over 2,000 feet of altitude gain over about 5 miles from the trailhead to the summit. 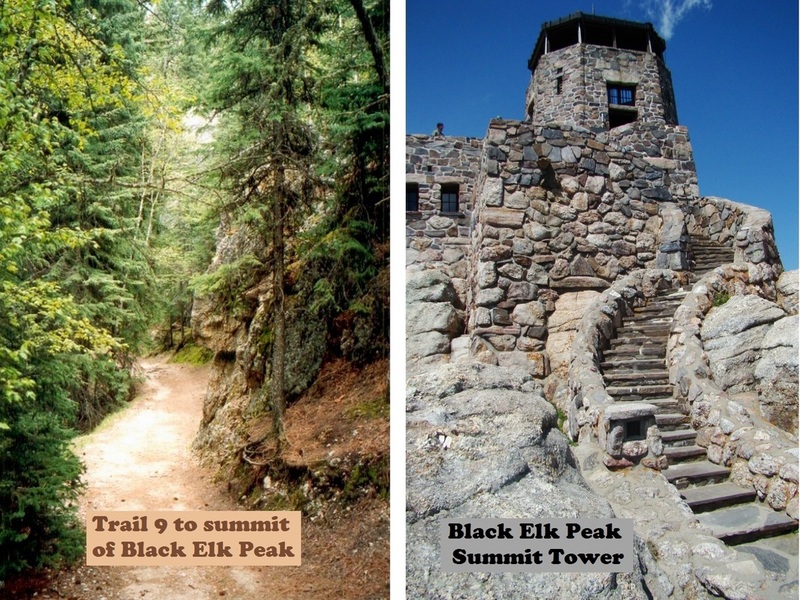 This route is not one we would recommend except for seasoned hikers. Trail 9 crosses this little stream around the halfway point.